She was his sunrise, his sunset. He opened his eyes every morning to a shimmery pattern of light peaking through the lace curtains, dancing its way from the top of her forehead to the edges of her lips. She was always smiling, even in her sleep. She had a glow to her face, even on those torrential rainy nights that translated into gloomy mornings. They had a little yellow house on the beach. Not too big, not too small. They didn’t have a lot of furniture, just a couch and a coffee table. A big white bed in their ocean-facing bedroom. The rest of the space was covered floor to ceiling in art they had collected throughout their travels over the years – Greece, Italy, Thailand, India. Her face lit up every time a guest would ask about the art – she’d jump up at the chance to explain every little memory behind every little piece of art. His face also lit up, watching her proudly show off what they had collected together. She was his sunrise, his sunset. Of all the art in their house, the ones he made for her were her favorite. Just before sunset every night, they’d walk hand in hand on the beach, scanning the glistening shoreline for seashells. She believed that the seashells have a special kind of energy right around sunset. She said they come out of hiding. They want to be seen. They’d collect only the best ones to bring back to their beach house. Then he’d sit on a lawn chair in their garage with the door open, with buckets of shells surrounding his feet. He would glue seashells in the most mesmerizing patterns onto everything imaginable – picture frames, vases, sculptures. She’d bring out a tray of tea to the garage. They’d sit side by side, sipping on tea, and smiling at the moon that seemed to always be smiling back at them. The sunrise, the sunset. It wasn’t always a kind routine. The ocean, despite the generosity of the sun, held its shine captive all night until the morning. The sun, despite its tiresome battle with the ocean, peaked through the horizon every morning without a complaint. She was his sunrise, his sunset. But on this particular day the sun and the sea were too wrapped up in their own battles to be on his side. That day, he lost his wife to the sea. That was 17 years ago. Since that cold morning – as they separated when she went to wash up in the ocean and he went on his daily walk on the beach – he’s spent every waking moment backtracking what could’ve happened, what should’ve happened. Why did this happen? She was his sunrise, his sunset. 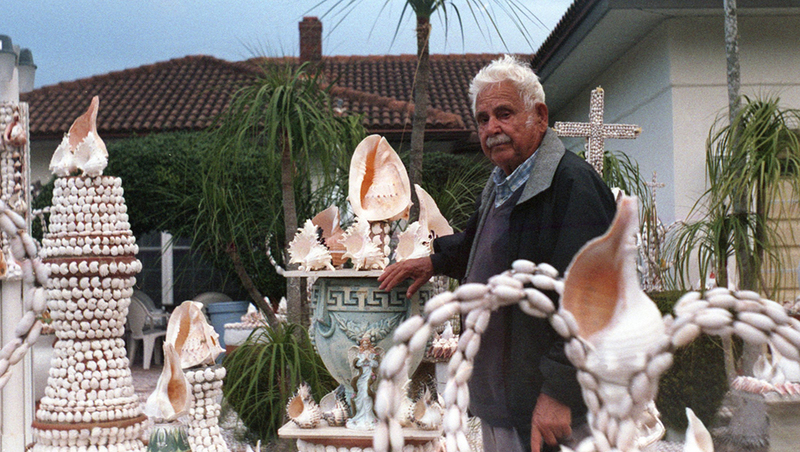 His seashell art surrounds his lonely house, inside and out. Her picture frames, covered in shells. The bedroom they slept in, kept untouched. He sleeps in a different room now. His sunrise, his sunset, gone. Her glow, reflecting off her beautiful face in every shell covered frame.